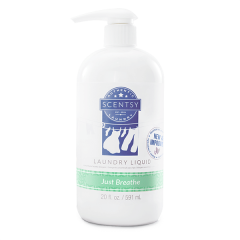 Laundry won’t feel like such a chore once you switch to using our new Layers by Scentsy Coconut Lemongrass Laundry Liquid. 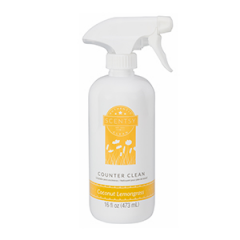 While it’s powerful formula fights those tough stains, you’ll be treated to the long-lasting tropical fragrance of creamy coconut and zesty lemongrass. 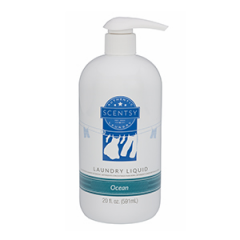 Turn the weekly laundry day into a one spent in paradise by indulging in the blissful aroma of our Layers by Scentsy Coconut Lemongrass Laundry Liquid. You’ll love the notes of cool, creamy coconut milk and brightly citrine lemongrass. One bottle will do up to 50 loads of laundry. 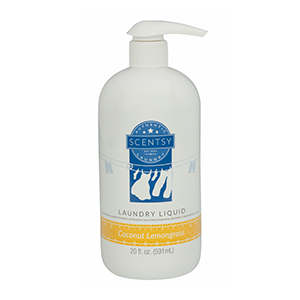 Turn the weekly laundry day into a one spent in paradise by indulging in the blissful aroma of our Layers by Scentsy Coconut Lemongrass Laundry Liquid. 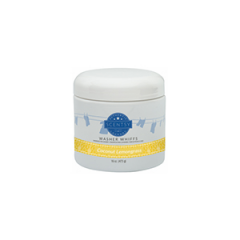 You’ll love the notes of cool, creamy coconut milk and brightly citrine lemongrass. One bottle will do up to 50 loads of laundry. Not only does it smell great, it also contains whiteners and brighteners that can’t be beat. One bottle will do up to 50 loads of laundry. 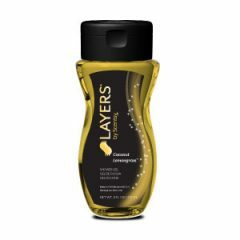 For the ultimate experience, use our Coconut Lemongrass Washer Whiffs and Dryer Disks. Purchase our Laundry Love bundle and get all 3 products that you’ll need. 50 loads for only $50.